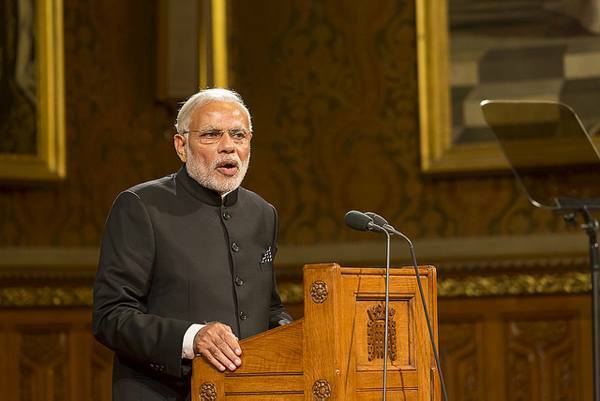 Indian Prime Minister Narendra Modi spoke out last week about the urgency to engage in sustainable energy. He spoke of the progress India is working on, following the recent COP21 in Paris. This includes a headquarters- joint with US and France- based in India to harness solar power. In addition, solar photovoltaic cells have been introduced to key locations in India including international airports. "Discussions of environment have been taking for long, but for the last few years, its negative impact has been felt on normal human lives…There is a challenge before the mankind to find a solution to this problem," Modi said. Prime Minister Modi has always placed importance on climate change and renewable energy. He even took to his twitter account, of over 16 million followers, to share the key ideas from COP21. The main influence of climate change is the overwhelming carbon emission rates in India with the major source of carbon emission coming from transport. The past 20 years has seen the number of vehicles in India multiply by more than 4 folds. Prime Minister Modi is advocating the shift from fuel to electrically powered vehicles. Road Transport and Highways Minister Nitin Gadkari launched refurbished buses in India which are pollution free. These are to be incorporated into the public transport system and Prime Minister Modi says that they can encourage further innovation in the future. “(Such buses) not only significantly contribute in minimising pollution, but would encourage younger generation to come into research and making of batteries…MPs will benefit from it. New generation can come forward in ‘Start up India’ and ‘Stand up India’ and contribute to initiatives like making batteries,” he said. Currently, India’s shift toward digitisation and renewable energy is intended to create more initiatives. Prime Minister Modi is highly supportive of the collaboration and commitment in COP 21. He is certain that the solar energy project is secure and will be highly beneficial to one of the fastest growing economies in the world. This creates an even greater sense of urgency to curb pollution from rapid industrialisation. “US, France and India have taken initiatives for innovation. The Bill Gates Foundation has also been associated with it. A positive result will come by,” he said of the resolutions in COP 21.